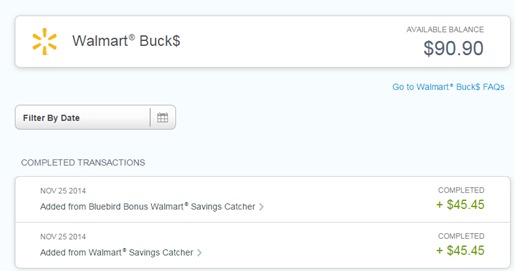 How To Transfer Walmart Savings Catcher Money To BlueBird To Double It: Step-By-Step Instructions. UPDATE: Everything changed on February 28th and now nothing in this post is valid. Now there is a NEW way to transfer funds but it won’t double anymore. 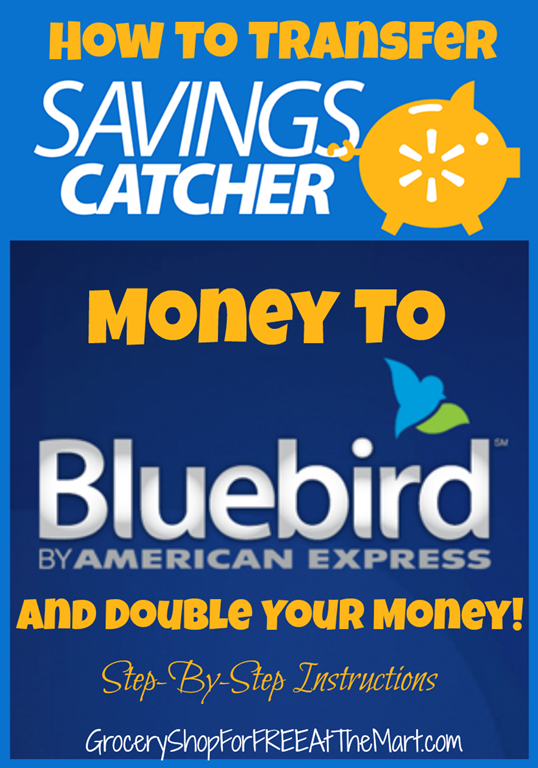 Everything you need to know is at How to Transfer Savings Catcher Bucks to Bluebird. 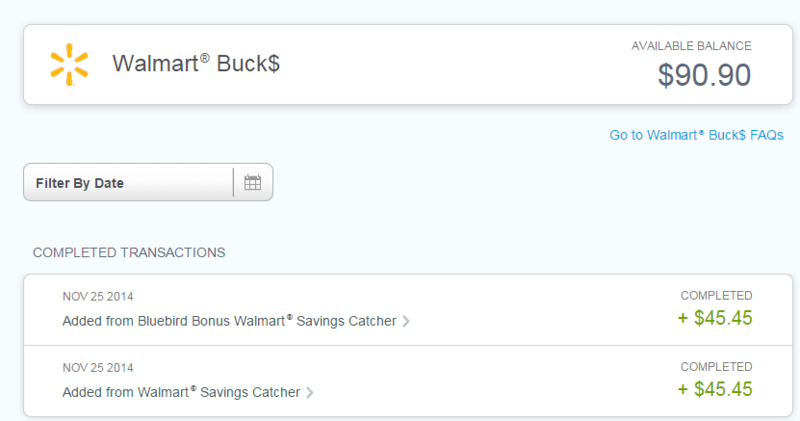 A few weeks ago, I told you how you could double your Walmart Savings Catcher money using the American Express BlueBird Get 2x Program but at the time, I hadn’t actually transferred any money to my account myself. All that changed this morning so now I want to walk you through the quick and easy process. If you aren’t sure what Savings Catcher is, here is an overview of what it can do and here are 3 reasons why you should be using it. You can do this one of two ways. You can go to Walmart and pick up a FREE BlueBird temporary card. They are usually on big spinners near the front of the store. The advantage of this is you get a temporary card that you can begin using immediately. If you bought a temporary card, you will need to register it here. If you sent for one online, you will need to wait for the card to come in the mail to activate it. You can do this from your Walamrt app or your computer. From the app, click on Savings Catcher on the home screen. Then click on Get Money in the bottom right hand corner. Scroll down to see the option to transfer to your BlueBird account. You will need to log in to your BlueBird account on confirm the transfer and the transferred ammount will be doubled. It’s pretty much that easy, the whole process took me less than 10 minutes. Here’s proof of what I did. 2 Things to keep in mind is that they will ask for your Social Security Number when signing up for BlueBird and the transferred money can only be spent at Walmart. Has Savings Catcher been working well for you? Let me know in the comments.